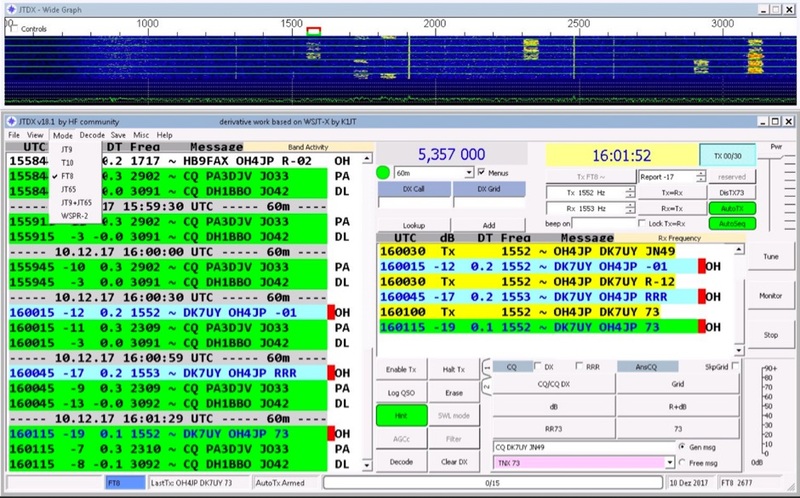 JTDX is a multimode software for amateur radio. Means JT & T modes for DXing, it is being developed with main focus on the sensitivity and decoding efficiency, both, in overcrowded and half empty HF band conditions. Support JT9, JT65, T10 and FT8 is released unde GNU licence, by UA3DJY and ES1JA. Run under Windows and Linux.